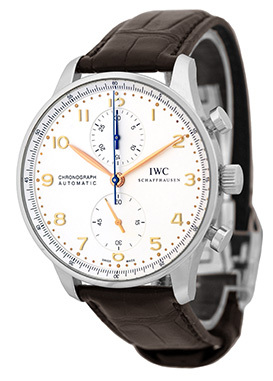 Gent's Stainless Steel IWC "Portuguese" Chronograph Strapwatch. Silver Dial with Raised Gold Arabic Numerals, Gold Tone Hour, Minute and Sub Dial Second Hand. 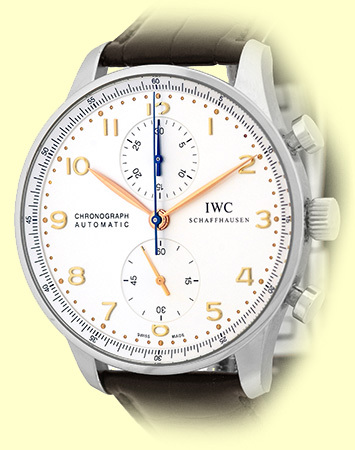 Chronograph Functions with Blued Hands, Smooth Stainless Steel Bezel and Sapphire Crystal. 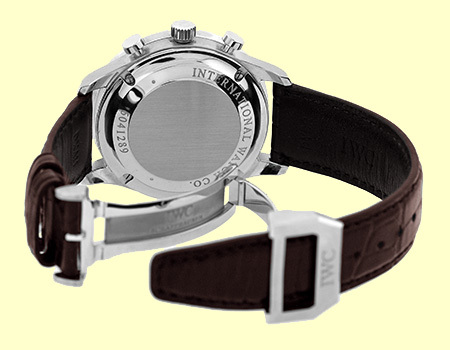 Highest Quality IWC Black Crocodile Strap with Stainless Steel IWC Deployant Clasp. 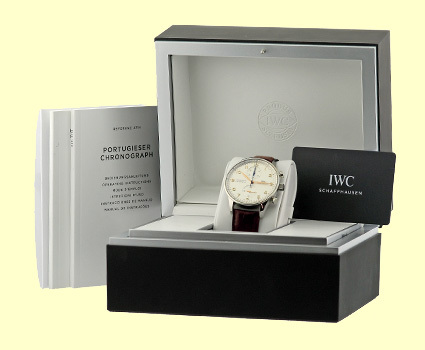 Like New Perfect Condition with IWC Box, IWC Warranty Card, Booklets, Polishing Cloth, and complete with Capetown's Lifetime Warranty! !